There is a huge Castle… being built brick by brick.. On Keys Road near Turlock, Ca. He has 60,000 bricks into it and 15 years of labor. 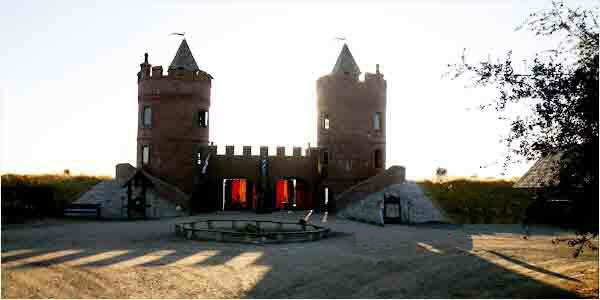 I believe that the castle mentioned in this post is this one. The location and description fit.